As usual, you can count on Hacker Beach returning to some fantastic island or coast in 2019. If you weren’t sure if you should add it to your calendar, here’s your official confirmation. As usual, it will happen during the month of January, all of January, for however long you want to join. As usual, the location search is ongoing throughout the year. And the location will most likely be decided upon sometime between September and November. If you have one to propose, tell others on IRC and/or add it to the wiki. After this year’s road trip from Sénégal to the Gambia (which was fantastic by the way), we’re planning to go back to gathering at one location for the entire month. Also, we’ll try to announce that location earlier this time, in the hopes of making it just a little bit easier for you to join us again. If you want to stay tuned, subscribe to this blog and ideally join us in #hackerbeach on Freenode IRC. You can also follow us on the fediverse (Mastodon). If you don’t have a fediverse account yet, check out joinmastodon.org. We also have space for more users on kosmos.social, which is run by Hacker Beach regulars. This entry was posted in Uncategorized on July 2, 2018 by Râu Cao. Most of us ended up getting a room at Waecicu Beach Inn, a bit north of Labuan Bajo. It’s located in its own bay, with its own beach and a small island you can swim to. Let us know if you want us to reserve another room! We were able to talk them down on the price a bit, so it’s just under 30 USD/night. The peninsula north of Labuan Bajo, which Waecicu is situated on, is absolutely gorgeous. It consists of grass-covered volcanic hills, sprinkled with a few palm trees. As soon as you come out here, the panoramic views in all directions are just stunning, all the way up to the North end of the island (a 2-hour hike). More posts coming up soon, containing some details about the Internet situation. Also check out hashtag #hackerbeach on the Web, if you’re interested. This entry was posted in Uncategorized on January 10, 2017 by Râu Cao. Flores is one of the larger islands in South-East Indonesia. The official Hacker Beach central will be Labuan Bajo, a small town on the far Western end of the island, and a launchpad for hundreds of adventures around the neighboring Komodo archipegalo as well as the interior of Flores itself. In regards to aquatic activities, contrary to last year’s 10-mile surf break, next Hacker Beach will be all about underwater exploration! The Komodo islands and national park feature some of the richest marine biodiversity on earth, and hence are the perfect playground for snorkeling and diving. 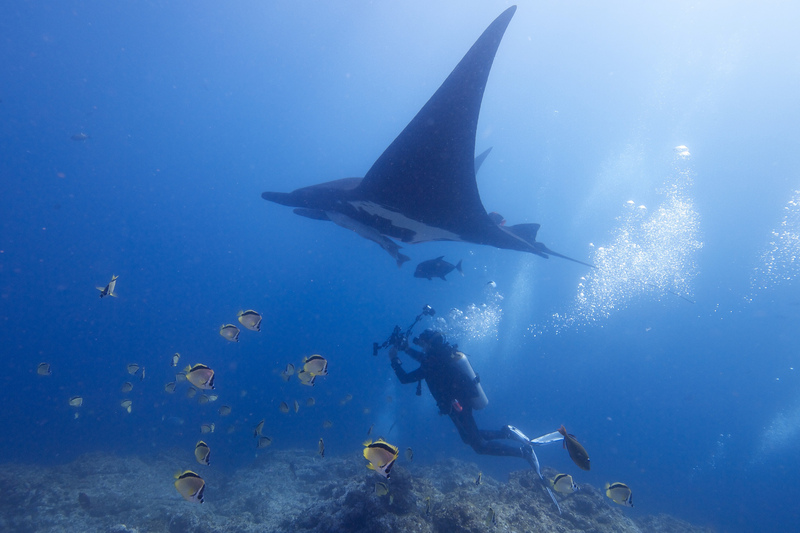 How about a swim with 4-meter-wingspan manta rays before or after work? If you don’t have a diving license yet, you’ll be able to learn this beautiful activity together with other hackers in one of the most stunning underwater environments on the planet, instead of your hometown swimming pool. 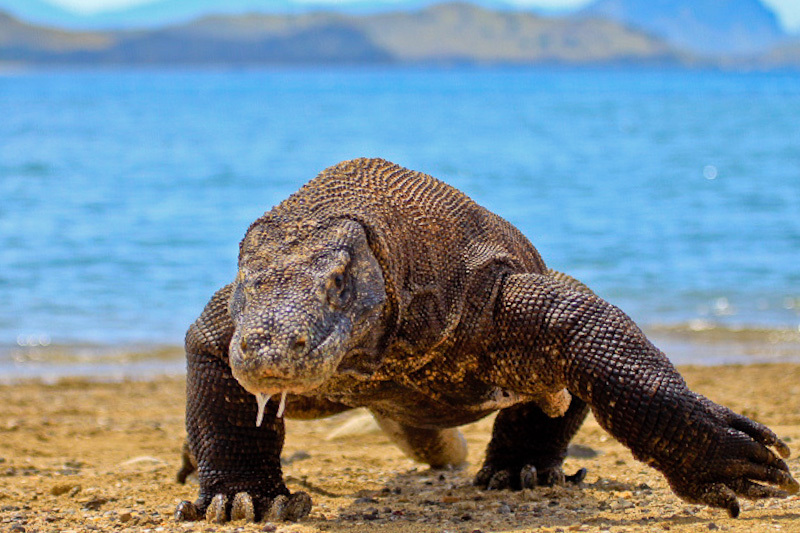 Speaking of amazing nature, Komodo island is of course also home to the biggest lizard in the world: the Komodo dragon. Organize a trip to the island with some fellow hackers in order to see actual dragons in the wild! In good old Hacker Beach tradition, there is no direct way to get to Labuan Bajo. It does have an airport with local flights however: LBJ. There’s also a variety of options for getting in via boat. Check out WikiTravel for details. You should easily be able to survive on $30 a day (our unofficial price target for a comfortable extended stay). As Hacker Beach is not an organized event and certainly no pre-packaged vacation, you’re on your own with finding a room or apartment. As always, it’s not a bad idea to find others you can share an apartment with, or to stay at the same hostel/guesthouse/bungalows as other hackers. We’re hanging out in #hackerbeach on Freenode. You can usually catch a friendly person on the channel any time of the day. Here’s a Web chat, in case you don’t have an IRC client set up. We also log the channel publicly. We finally came around to setting up a wiki this year. Any help with adding and editing content is most appreciated! In case you decide to join, we’d be happy to have your (nick)name on our list of participants. Head over to the wiki page for HB5. 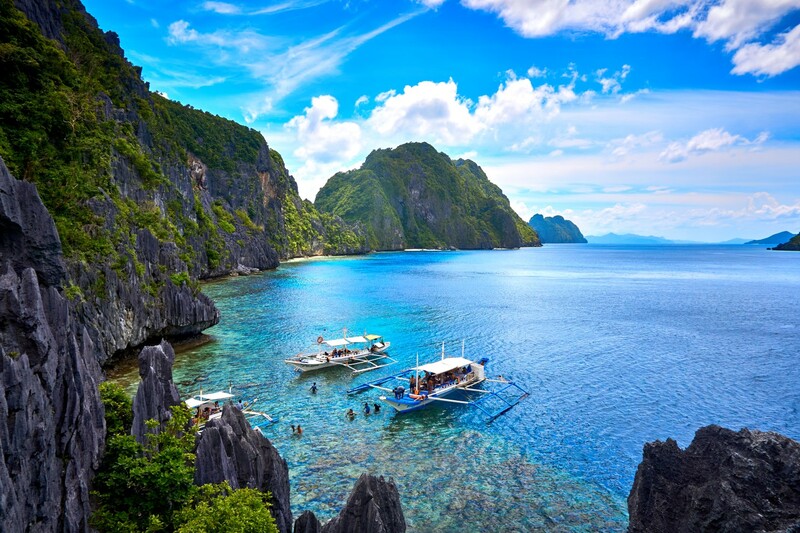 Nothing left to do but looking for a plane ticket and coming to Labuan Bajo in January. See you there! This entry was posted in Uncategorized on November 27, 2016 by Râu Cao. Hacker Beach Episode 5 in January 2017 is happening and you’re invited! Discussion is happening on IRC, in #hackerbeach on Freenode. You can find channel logs in this little app we hacked up last time. If you don’t have an IRC client, here’s a Web chat you can use. If you can’t wait for January (I know I can’t), there’s also a little pre-hackout in Chiang Mai, Thailand with a few people hanging out there in November and December! So, keep the locations coming, say hi on the IRC channel, and maybe even see you in Chiang Mai! The next post will be the official announcement for Episode 5. This entry was posted in Uncategorized on October 27, 2016 by Râu Cao. The session schedule now has its own dedicated page as well as a link to the whole schedule in iCal format. The easiest way to keep track of sessions is to add it to your calendar app(s). In case you didn’t know so far, anyone can get a hackerbeach.org WordPress account and add sessions themselves. Please ask on IRC if you don’t have an account yet, or if your account is lacking permissions to do so. Go check out the page, and be sure to subscribe to the iCal calendar so you don’t miss the sessions you might be interested in. This entry was posted in Uncategorized on January 16, 2016 by Râu Cao. If you’ve been following us on Twitter or on IRC, you will likely know about our next destination already. Heck, you might even read this with your plane ticket sitting in your email inbox right now. But if not, and for everybody else, here’s our official announcement of Hacker Beach, Episode 4. 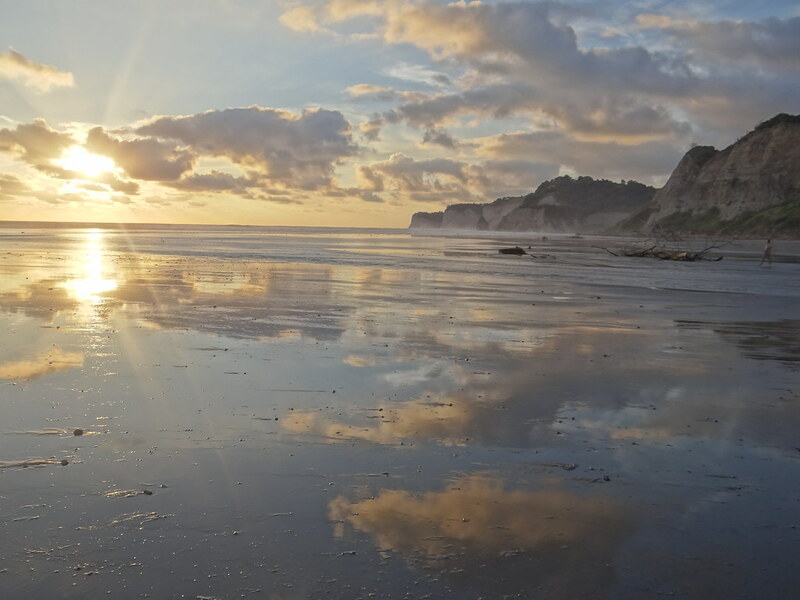 After years of trying to find a location in South America, we finally succeeded: fellow hackers and like-minded individuals, we’d be delighted to have you join us in Canoa, Ecuador next January! We hope you like surfing and seafood, because there’s plenty of both in this laid-back little fishing village. In addition to 10 miles of deserted, quiet beach, there’s also a nearby jungle hosting a diverse array of plants and wildlife. In fact, Ecuador officially has the most biodiversity per square kilometer on planet Earth. So before, during and after Hacker Beach, you should really explore this beautiful gem of a country, located between Columbia and Peru in the North-West of South America. In good old Hacker Beach tradition, there is no direct and easy way to get to Canoa itself. You’ll have to fly to either Quito (the capital city, located 2850m above sea level) or Guayaquil (the unofficial capital of Ecuador). Both cities have buses going to Canoa. Alternatively you can try to make your way via neighboring countries and/or smaller cities. From Europe, there are good flight connections from MAD and AMS for example. You can ask on IRC for more tips, in case you can’t find a good option. As Hacker Beach is not an organized event and certainly no pre-packaged vacation, you’re on your own with finding a room or apartment. As always, it’s not a bad idea to find others you can share an apartment with, or to stay at the same hostel as other hackers. We’re hanging out in #hackerbeach on Freenode. You can usually catch a friendly person on the channel any time of the day. Here’s a Web chat, in case you don’t have an IRC client set up. In case you decide to join, we’d be happy to have your (nick)name on our list of participants. You can RSVP on the event page for HB4. Nothing left to do but looking for a plane ticket and coming to Canoa in January (or even for New Years). See you there! This entry was posted in Uncategorized on November 23, 2015 by Râu Cao. We’ll be hanging out at the Oblivion Bar village, sharing a nice big tent with some friendly people and open-source projects. This entry was posted in Uncategorized on August 1, 2015 by Râu Cao.